How do you stay in the sweet spot of living life to the fullest? Maintenance is the key to this package. Just like routinely changing your car oil keeps it running smooth. Periodically resetting your nerve roots keeps the body’s structural alignment intact and encourages proper muscle efficiency. The mini-lymphatic drainage therapy included in the maintenance package will help keep your immune system healthy and running like a well-oiled engine. Read more about the lymphatic system. 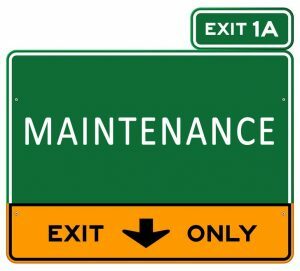 So…how often are maintenance treatments scheduled? The frequency fluctuates according to your big events. Since maintenance treatments directly relate to injury prevention, scheduling a treatment before and after a big event is your best game plan. Scheduling before your big event will clear out any havoc in your nerve roots, allowing your performance to proceed without any muscular hitches. Likewise, scheduling after your big event allows your body to quickly reset to neutral after enduring extreme physical activity.